Industrial automation and production needs to have a robust management system to ensure maximum productivity . In reference to this, ACP ThinManager platform offers several features and benefits for an industrial level production. A typical ThinManager platform can be configured through terminal server network and can manage multiple network configurations. 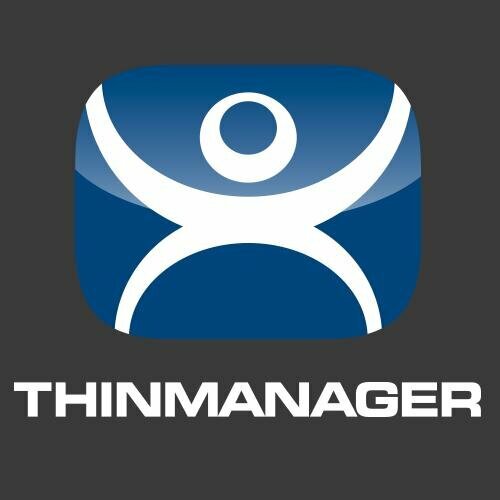 With a ThinManager platform users are able to support virtual machines, IP cameras, multiple monitors and mobile management. For example, in a large scale plant or a factory floor ThinManager with thin clients can benefit by centralizing the management,this makes entire production process easier. ThinManager combined with thin client allow operators to have visibility and control for every activity in the floor. This not only ensures efficiency in the work area but also provide maximum security of critical information. ThinManager also minimizes the hardware replacement time and thin clients ensure there is no hardware failure in comparison to a traditional setup. ThinManager allow instant access to configuration management and allow quick access to other machines from a single location. With RDP (Remote Desktop Access) network administrators are able to remotely diagnose and resolve operator’s issues. With software packages like ACP ThinManager users have the option to control and secure the platform.As discussed above ThinManager act as a centralized management solution and can be seamlessly integrated into HMIs and other applications. With number of user friendly features user is able to perform tasks in a quick and easy manner. Industrial manufacturing and production demands the option of being mobile, RDP can be used on a smartphone or a tablet providing utmost flexibility to end-users. People working from different branches are able to remotely connect to computer on another HMI on plant floor or any mobile device. Arista offers complete range of Thinmanager ready thin clients ideally suited for complex processes of manufacturing industry and automation. Arista thin client range is designed to compliment critical needs of manufacturing and offers technology driven great features. Arista offers industrial thin clients, office thin client,4K resolution thin client, multi-monitor thin client, panel mount thin client, waterproof proof thin ,large format thin client and class 1 Division 2 thin clients. Each thin client is designed to ensure a seamless workflow with user-friendly functionalities. To know more about Arista thin client visit www.goarista.com, email sales@goarista.com or call us at 1.877.827.4782 Monday through Friday 8:00am to 5:00pm. Arista is a pioneer in the industry of product development, engineering, manufacturing and customer support. Originally formed in 1994, Arista has offices in China, India and Taiwan. With years of experience and expertise in Industrial Panel PCs, industrial monitors, Box PCs and Fanless embedded computers, rack mount computers, ACP ThinManager Ready Thin Client, embedded CPU boards and video extender/switched. Arista has served customers with reliability, integrity and trust.